Scorched Earth, a group exhibition at Current Projects in Miami, considers the stories contained within the soil. MIAMI — One of the most radical military tactics, “scorched earth,” involves depriving the enemy of any assets that might be useful or, more truthfully, life-giving — fertile land, water, communications, bodies. 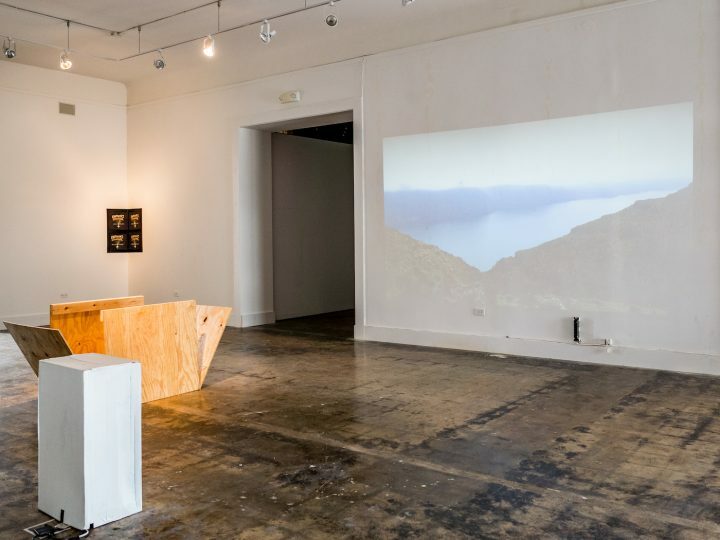 The current exhibition at Current Projects, Scorched Earth, is a thankfully minimal show that refers to the more deeply entrenched earth: less so the imminently dead soil, and more the stories contained within it, those that irrefutably belong to the colonized bodies and territories that once subsumed particular geographies, and whose erasure renders those landscapes stolen. Sky Hopinka’s seven-minute “Jáaji Approx” (2015) is still his most widely screened work to date; his formality and poetry, in this setting, expand the myopia to which Perry refers. The shots of forests, mountains, and highways are sung over with stories from powwows by Hopinka’s father — who, like the artist, is a member of the Ho-Chunk Nation — and transcribed, on screen, in phonetic lettering. Perspective and voice collapse. As Hopinka sings with his father, there’s a sense of renewal, of the present merging with history. Elysia Crampton, “OCELOTE” (2018). 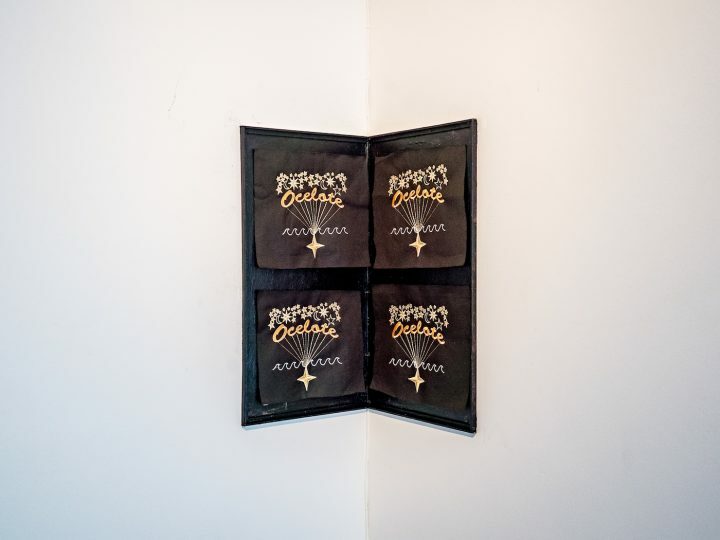 2 36×16″ panels with 4 metallic embroideries in space. Some of Scorched Earth’s foundation, Harrelson told me, was laid by Ana Mendieta and traversed by Elysia Crampton, both of whom appear here, too: the former in small works on a lightbox that you must crouch to view; the latter in the album art for her new record, Ocelote. It was Crampton who wrote: “The very pigment granules, generated by the cells that color our skin, relay a strange union our bodies have with stone that affects how race is constructed, observed, recognized, excluded, or denied. 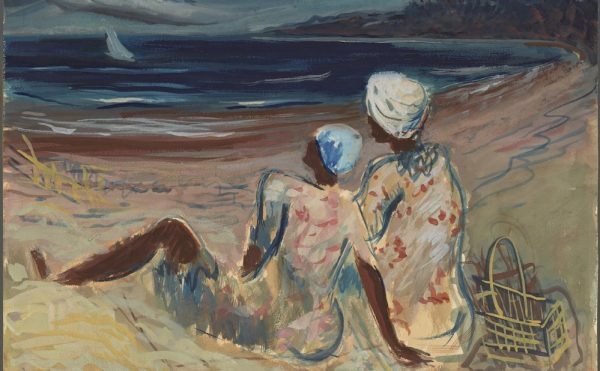 To go further and consider ourselves on a geological level ruptures hierarchies.” For Crampton, there’s no distinction between the colonization of brown and black bodies and that of the earth — their earth — of the same color. In Jamilah Sabur’s “Untitled (container with biometrics)” (2018), a plywood box, split open as if by lightning, contains a casting of a cooler, hard as concrete, holding within it plaster and her own hair, as rich as the land in which it might be buried. 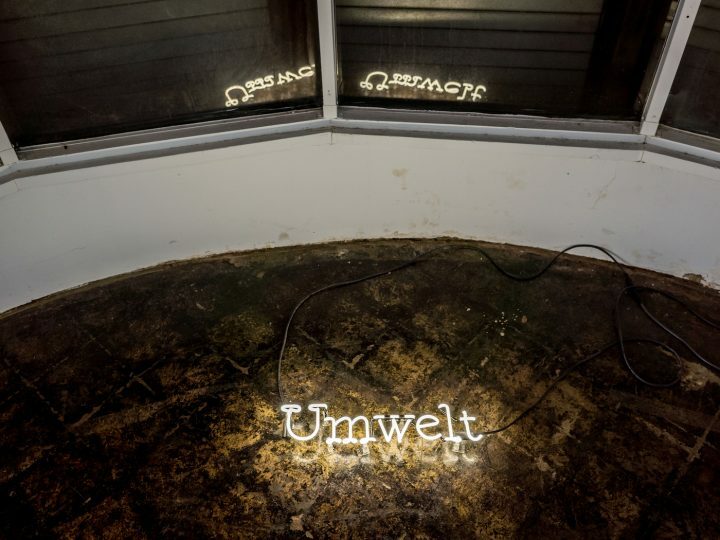 Sabur has another piece in the corner of the exhibition entitled “UMWELT” (2018), a neon in bright white placed on the floor. I saw the show on a dark, rainy day, and there was a briefly captivating pleasure in noting the shadows the work created, the reflection in the window. “Umwelt” is defined by Jakob von Uexküll and Thomas A. Sebeok as the “biological foundations that lie at the very epicenter of the study of both communication and signification in the human and non-human animal.” It is the subjective experience of an organism. 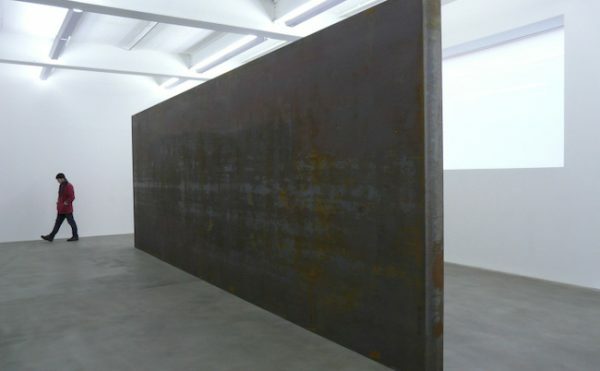 Sabur’s “UMWELT” means to cast its viewer in a singular light of his or her own. “Subjectivity becomes the necessary precondition to have anything we have now — including the theft of native lands,” Harrelson, who was with me that day, explained. “Unless we have this sort of collapse of the ability to perceive, we can’t divest ourselves of our cognitive center and invest in the periphery — that milky haze of the brilliance of feeling.” “The milky haze of the brilliance of feeling” might as well be the show’s second title; accessed by the right people, perhaps no stories would be hidden from view, no territories usurped or left burned. 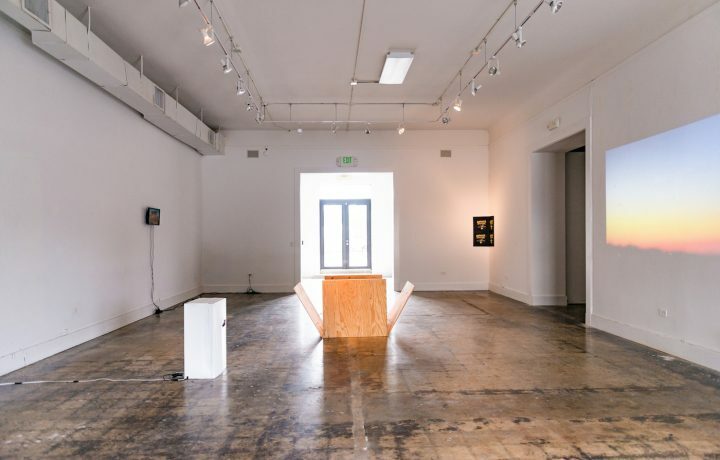 Scorched Earth continues at Current Projects (170 NE 79th Street, Miami) through June 2.